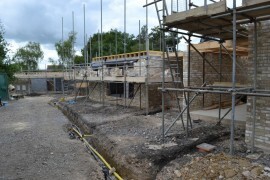 Stanley Partnership Architects visited their Clients plot in Cheltenham, Gloucestershire site and photographed the progress made by the Contractor. 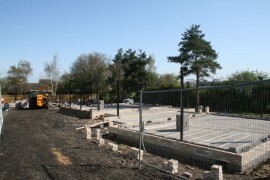 The Contractor is up to first floor construction of the front houses and forming the roof of the bungalow at the rear. Stanley Partnership Architects have obtained planning permission for a Client in South Cerney, near Cirencester to refurbish and extend an existing office building to become their new head quarters. 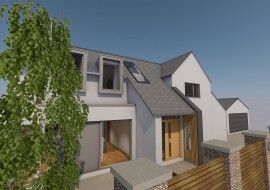 Stanley Partnership Architects are please to obtain planning permission for our Private Clients in Cheltenham, Gloucestershire. Stanley Partnership Architects visited their Clients Listed Building in Cheltenham, Gloucestershire site and photographed the progress made by the Main Contractor ‘Dove’. 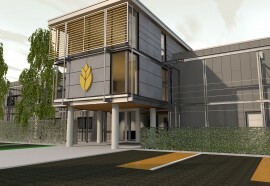 The project has now received ‘Practical completion’ ready for use as a commercial space. Stanley Partnership Architects visited their Clients plot in Cheltenham, Gloucestershire site and photographed the progress made by the Contractor. 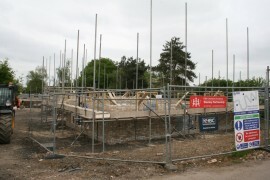 The ground floor construction of the new houses are under way with a wienerberger brick facade insulated cavity walls. Stanley Partnership Architects visited their Clients plot in Cheltenham, Gloucestershire site and photographed the progress made by the Contractor. 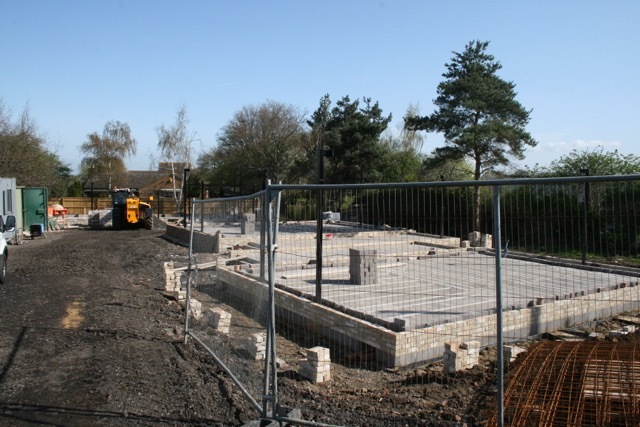 The existing cottage has been demolished and the site cleared. 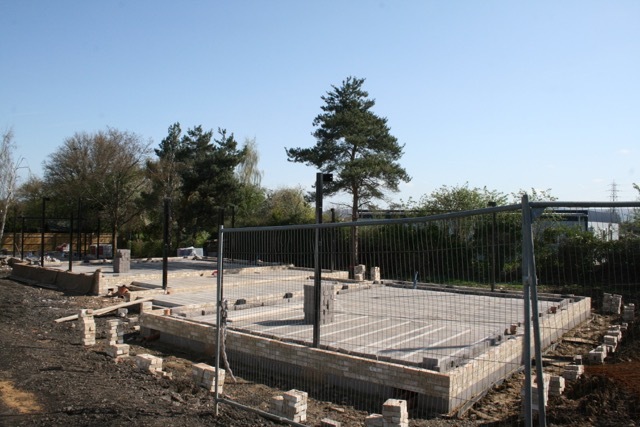 The piles and ground beams have gone in and the project is at DPC ready to start the ground floor wall construction. Stanley Partnership Architects visited their Clients Listed Building in Cheltenham, Gloucestershire site and photographed the progress made by the Main Contractor ‘Dove’. 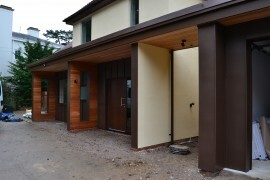 The windows have been installed and the render, zinc and cedar soffit completed. The first fix is due to finish as the project nears ever closer to the end. Stanley Partnership Architects based in Cheltenham, Gloucestershire Inspected the house of a private Client who has reached the end of the building phase on the property. 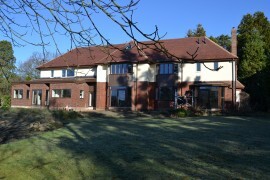 The final defects inspection has been completed and the Client has commissioned the landscaping. The external facade is a mix of Brown Anthracite Zinc standing seam, brick work and self coloured render, the roof has been re-tiled and the soffit complimented in a warm cedar. Stanley Partnership Architects visited their Clients Listed Building in Cheltenham, Gloucestershire site and photographed the progress made by the Main Contracter ‘Dove’. 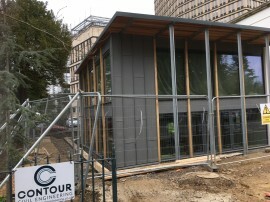 The Glulams, galvanised steel outriggers and roof material has been completed and the roofing membrane and sedum roof been applied. 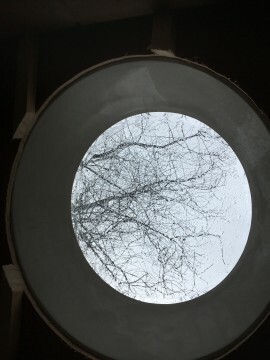 Stanley Partnership Architects based in Cheltenham, Gloucestershire visited the house of a private Client who is marching towards the end of the building phase on the property. 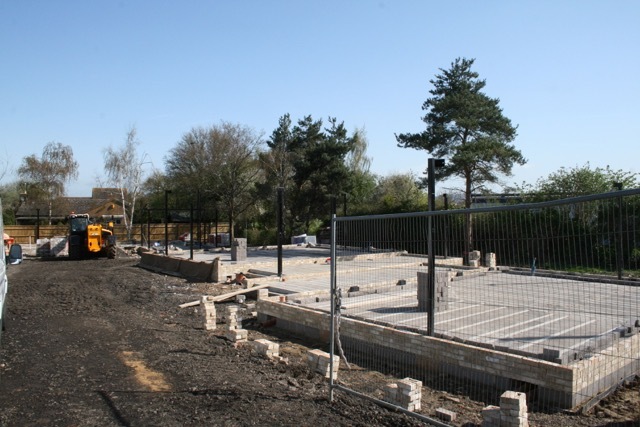 The Main contractor is nearing the end of the internal fit out and once a final defects inspection has been completed, the Client will be commissioning the landscaping. 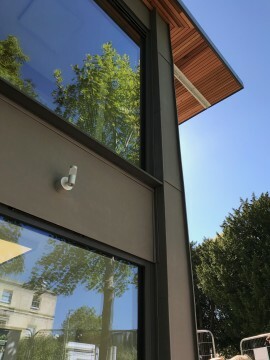 The external facade is a mix of Brown Anthracite Zinc standing seam, brick work and self coloured render, the roof has been re-tiled and the soffit complimented in a warm cedar.